Like a flower in a rain shower, your skin will blossom with the emollience of this mild, plant-rich shower cream. Certified natural by NATRUE body-wash, lovingly created for you, the lingering scent is inspired by evening primrose flowers. Valuable macadamia nut oil has a special affinity with your skin and evening primrose gives you velvety-soft care and vitality. Bathe in fragrance and emerge radiant. Gently cleanses while protecting moisture balance. Wash has a fresh and floral fragrance. Certified natural by NATRUE, vegan and dermatologically tested and approved. 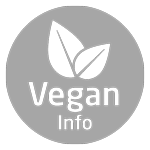 All Weleda face, baby, body, hair and oral care products are suitable for vegetarians abstaining from meat and fish. All over in the shower or bath - mild, plant-rich surfactants will not lather profusely.